Medical monitoring is an essential part of the clinical trial process, primarily to keep study patients safe from any potential harm, and also to maintain the integrity of medical data supporting the trial. The physicians responsible for this oversight have been called the unsung heroes of clinical trial development.1 The challenges they face can be daunting; not only are there far more clinical trials, each trial generates exponentially more data than ever before. Identifying signals during the safety review process has increasingly become like finding a needle in a haystack. Technology vendors are stepping up to ease the burden, but medical monitors have been slow to adopt solutions. This white paper examines the reasons behind the physician monitors’ reluctance, and what technology needs to offer to convince monitors their work can be more efficient — quickly detecting safety signals and speeding time to submission. With trials enrolling anywhere from hundreds to thousands of patients, subject safety falls to the medical monitor, who use their medical education and expertise to oversee all aspects of patient treatment. This involves pouring over a wide range of clinical and laboratory data points, from individual patient labs, vitals, and histories, to case report forms, to adverse events reports, and more. While no regulatory statute demands the presence of a medical monitor,2 the role has evolved out of sheer necessity due to the complexity of trials and the growing volume of associated participant medical data. Historically, medical monitors or safety review teams waited until all the data was scrubbed, analyzing it nearly as the trial was coming to a close — far too late to adjust course. The advent of electronic data capture and its now widespread adoption has meant medical monitors can review data much more frequently and make in-stream course corrections or other interventions. Yet, rather than relieve analytical challenges, the speed and volume at which data is accumulated today has created new pressures. More than a third (37%) of medical monitors in an informal survey said their greatest concern is missing a safety signal in this sea of data, and the risk this poses to trials.3 Failure to detect these signals can lead to delays, a rejected submission, or a market withdrawal, not to mention compromising the safety of trial participants. Despite the risk and the time-consuming, tedious, and inefficient current state of data management and analytics in medical monitoring, most physicians in these roles are hesitant to try commercial software solutions. In general, physicians have been historically “hesitant to pick up new technology and they often resist it with a passion,” says Todd Everhart, MD FACP, and vice president of medical informatics at Covance/Chiltern, a clinical development services provider. Having worked as a medical monitor, Everhart says the majority of safety reviewers are still using outdated methods, such as spreadsheets, for analyzing data. Everhart roughly estimates fewer than 20 percent of medical monitors are using business intelligence solutions with visual analytics, despite a large, rapidly growing, and fragmented population of vendors offering such systems. “In today’s digital age, most [medical monitors] will have seen and/or heard about [solutions], but the number that use it and put it into their standard workflow is probably still pretty minimal at this point,” he says. He notes this is not unlike the adoption curve seen with most technology — where enthusiastic innovators and early adopters immediately take to a new solution, followed at a slower pace by the early and then late majority, and eventually reaching laggards. 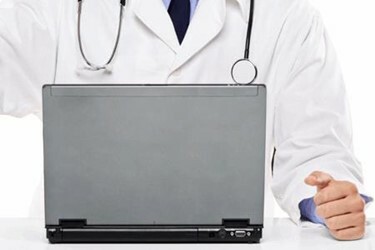 To help persuade medical monitors unnerved by a raft of choices and unconvinced of a technology solution, Everhart — whose work focuses on increasing the efficiency of medical data review using visual analytics — says vendors must offer solutions that are perceived as being both easy to use and useful. Efficiency and value derive from understanding the end user’s role, responsibilities, and challenges, and tailoring a solution to address their unique needs. Too often, solution providers have attempted to maximize revenues by selling a platform across industries or applications, convinced that “data is data.” Users are encouraged to configure the powerful analytics to address their specific needs, and are often sold on the solution’s power, innovation, and flexibility. Everhart says it’s like an auto manufacturer marketing a powerful engine, and suggesting drivers build the vehicle around it to suit their needs — minivan, SUV, pickup truck, sports car, luxury sedan, etc. This approach, according to Everhart, requires organizations “to have the people — the business analysts or use case analysts and programmers — around you to build that,” which can create bottlenecks as IT intervention is necessary to tailor the solution to the workflow. In addition, the promise of “Big Data” has been tempered by users’ ability to keep up with the tools being offered to them to manage it all. PwC, in its 2017 Pharmaceuticals and Life Sciences Trends report,5 warned against “the myth of big data — that they can shove vast amounts of data into a system and out will come a well-articulated, curated answer, the very one they are looking for.” It argues that users must first probe for the type of insights they need to make informed decisions. Only then are they ready to invest in technologies that can address those business needs. For physician monitors overseeing clinical trials, the idea of adopting visual analytics to optimize data quality and analysis is often challenging enough, without having to understand and adapt artificial intelligence and other advanced technologies into their workflows. They want purpose-built tools they can quickly and confidently use. “The majority of people want to know that the product is easy to use and will make them a better, more efficient medical monitor,” Everhart says. Specifically, the ability to aggregate and standardize in-stream data can help simplify study setup, saving as much as $3.8 million annually.3 A single, unified data analytics solution is required to steer users seamlessly from source data through visualization and to action. This includes incomplete or erroneous data from systems as varied as EDC, CTMS, IVR, and labs vendors. Automating as much as 50 percent of the data analysis-to-action steps can boost productivity by 25 percent.3 Reducing human intervention and the risk of human error can also increase accuracy. Low visibility across data silos slows the medical monitoring process. Physician reviewers with access to self-service visual analytics in a unified solution can quickly identify and investigate data trends across systems. This means having a 360-degree view across all core safety domains, with built-in patient profiles. Designed for analysis, not just data capture, a technology solution must provide a view, for example, of what’s happening to a single subject over time. To safely speed the medical monitoring process, monitors must be able to quickly follow up on specific subject cohorts, investigate trends and outliers, act on questions, identify risks, and easily keep track of the review process. Enabling user-defined activities, such as configured data views and alerts, helps accelerate the monitor’s workflow by walking them through their data, alerting them to outliers and changes, marking line listings, and tracking progress. Decreasing time-to-market by just one month can save up to $50 million a year.3 Rather than a sea of spreadsheets, best-in-class visual analytics — when tailored for clinical safety review — can present data in a way that makes sense to medical monitors. They can browse, search, and analyze data using dashboards, track their progress, and share their results. Cloud-based solutions enable collaboration, as well as security, regulatory compliance, and easy upgrades. A fit-for-purpose solution that helps keep patients safe can more than pay for itself. Drug recalls can cost companies $650 million or more, so ensuring the medical monitoring data is accurate for regulatory submission is critical. Todd Everhart, MD FACP, and vice president of medical informatics at Covance/Chiltern, a clinical development services provider, says organizations need to do four things to ensure new technology is embraced by end users. Invest in a fit-for-purpose solution that is both useful and easy to use. This requires having a solid understanding of what the tool needs to do and how users will incorporate it into their work. Recognize that not everyone accepts technology at the same rate. Within a population of medical monitors, there will be people who are excited by a new tool, some who are terrified, and a spectrum in between. Acknowledge and prepare for these differences. Nurture the early adopters first. Identify and deploy first to those who are excited about the power, flexibility, and innovation of the solution. Let their enthusiasm seep into the organization and task them with showing others how useful the tool is, while demonstrating how easy it is to use. Gradual acceptance is preferred to stubborn resistance. Insist on training. It should vary according to the users’ roles and technology acumen, and be a formal program. “Because if I have to buy [the tool], and then I have to develop the training around it, then the product just got more expensive,” says Everhart. Even a fit-for-purpose solution enables some user-defined configurations, so good training programs can help speed the uptake and increase user capabilities. Involve internal stakeholders. IT should not purchase safety review software without input from the medical monitors who will be using it. Look for a solution that matches current workflows. Or ask if a non-matching solution can increase efficiency. Don’t buy a shovel if what’s needed is a rake; but buy the shovel if it proves to be the tool that’s better suited for the job. Ask the necessary questions, especially of internal stakeholders. Evaluate the solution based on usefulness and ease-of-use. Don’t be mesmerized by fancy features or capabilities that may be beyond the average user’s needs or abilities. Look for evidence that the solution addresses the users’ needs, fits their workflow, speeds their work, and is easily learned and used. In short, look for efficiency and value.